How to Create a Marketing Plan that Inspires You. Episode 017 of the Ideas Architect Podcast. 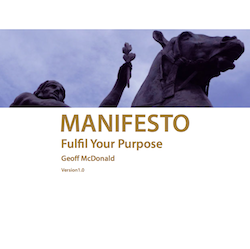 We marry the idealism of a manifesto with the practicality of creating your marketing plan. In particular, we explore the nine principles of the Manifesto Manifesto with well-known examples. 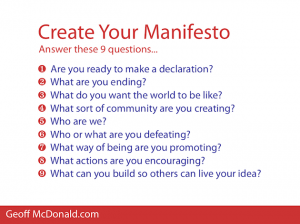 And, we leave you with a series of powerful questions that you can use to define the foundation of your marketing efforts. The slide with the key questions from this recording is below to the right.